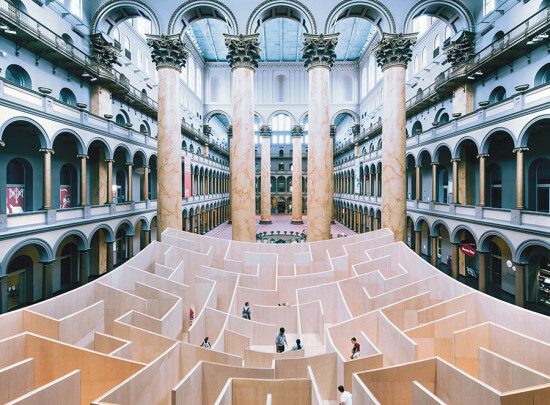 Following in the stead of Snarkitecture and Bjarke Ingels, New York’s James Corner Field Operations will create the National Building Museum’s summer 2016 installation. 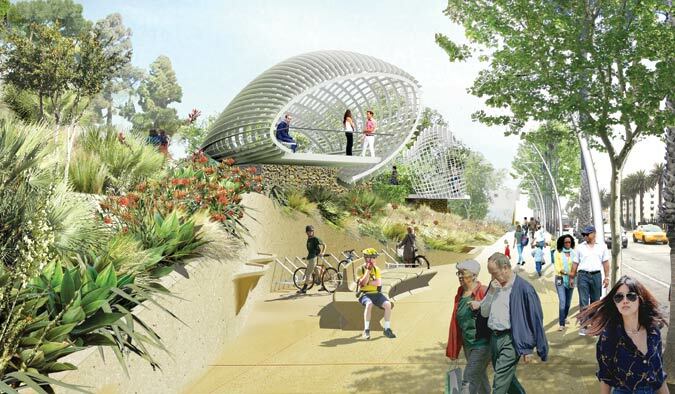 The landscape architecture firm is best known for its outdoor projects such as the High Line, Santa Monica’s Tongva Park and Ken Genser Square, Race Street Pier in Philadelphia, and Seattle’s Central Waterfront. Field Operations will likely bring a fresh perspective inside the building’s four-story Grand Hall. 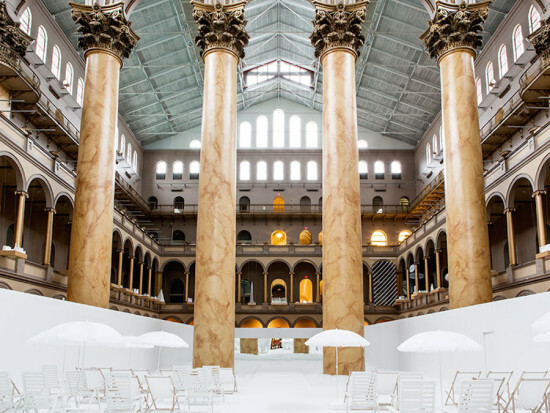 The National Building Museum opened in 1985 in the Pension Bureau building, originally built in 1887 and designed by Montgomery C. Meigs, the U.S. Army quartermaster general during the Civil War. Notably, the Italian Renaissance–style building features 75-foot-tall Corinthian columns in the Grand Hall and a 28-panel frieze by American sculptor Caspar Buberl. Snarkitecture opted for a giant, monochromatic ball pit (Click to see AN‘s report on this installation) in 2015 and the year before, Bjarke Ingels took advantage of the hall’s height to craft a giant maze (Read more about the maze here). Stay tuned to learn what Field Operations creates for the space. To learn more about Field Operations and its projects, check out the Miami Underline and Great Falls State Park. 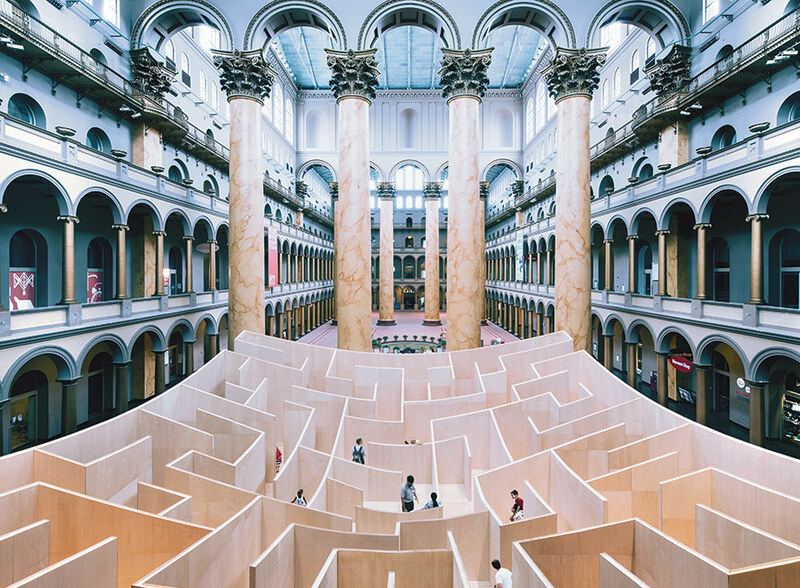 BIG-Bjarke Ingels Group James Corner Field Operations Museums National Building Museum Snarkitecture Washington, D.C.